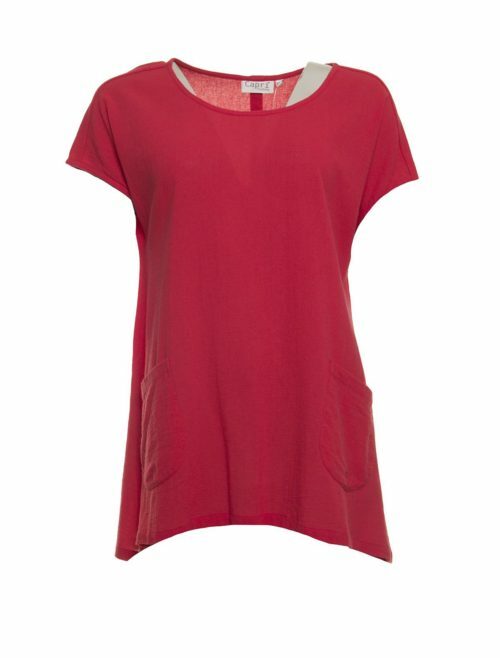 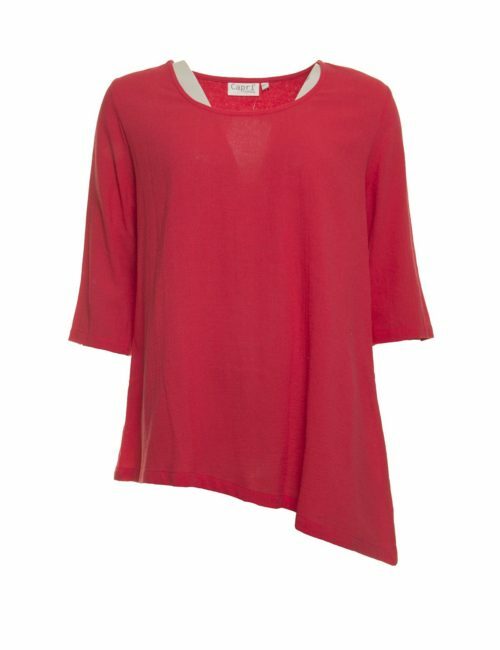 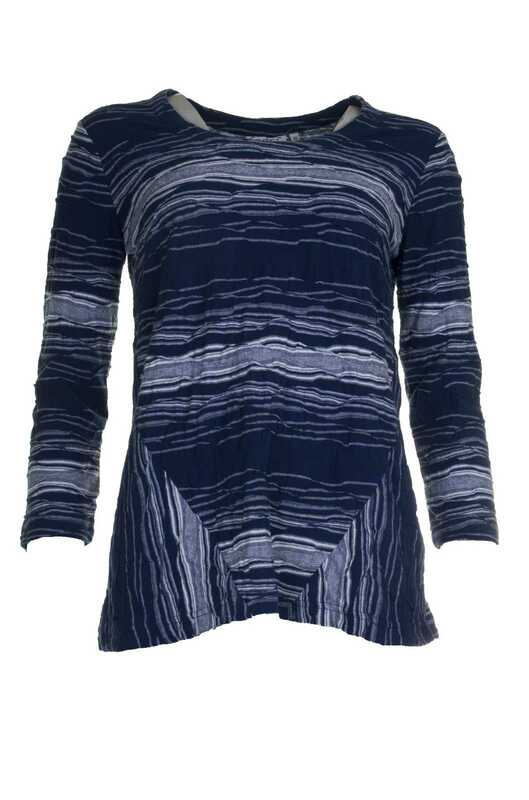 Sublime textured jersey tunic from Capri. 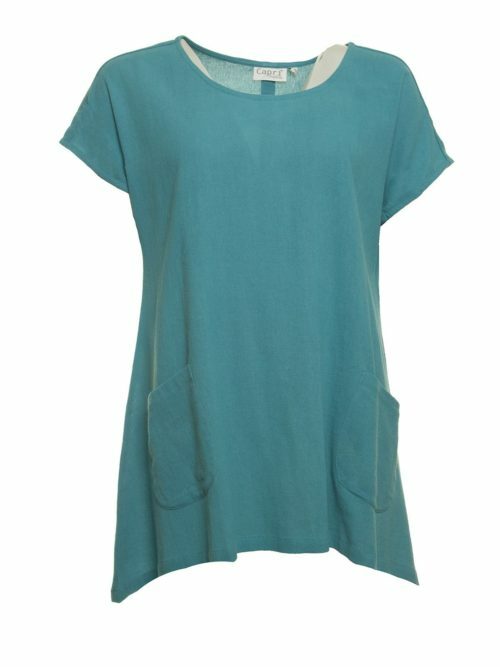 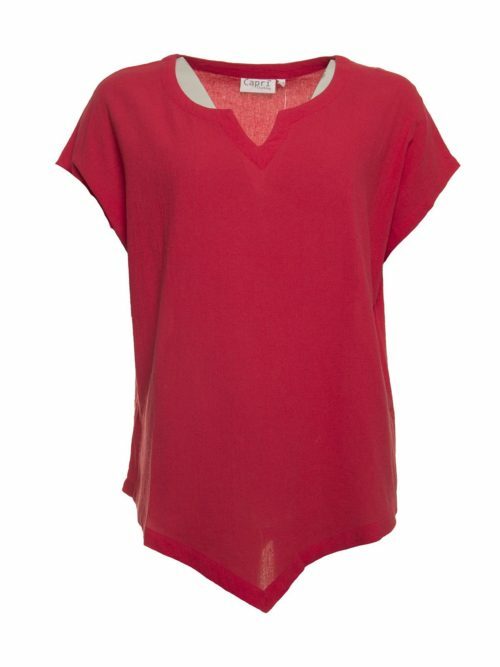 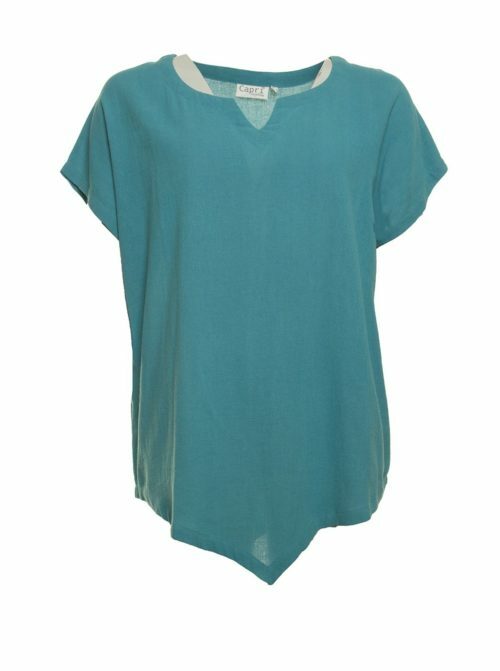 Katie Kerr Capri tunic in textured jersey. 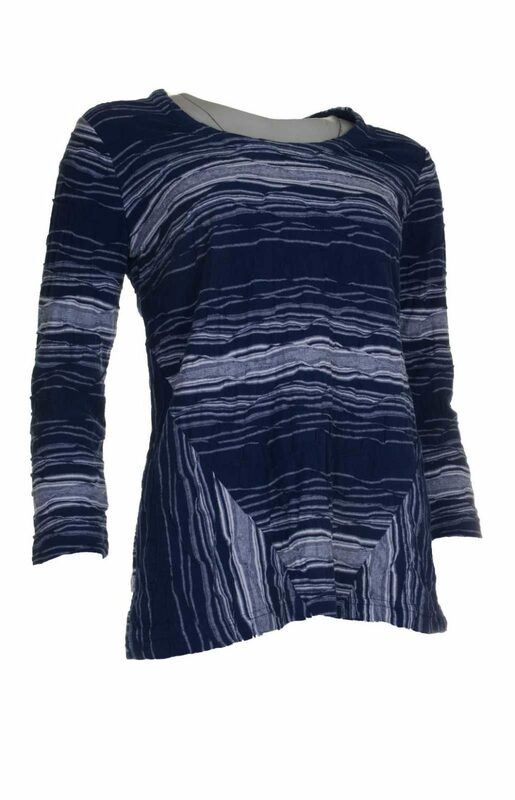 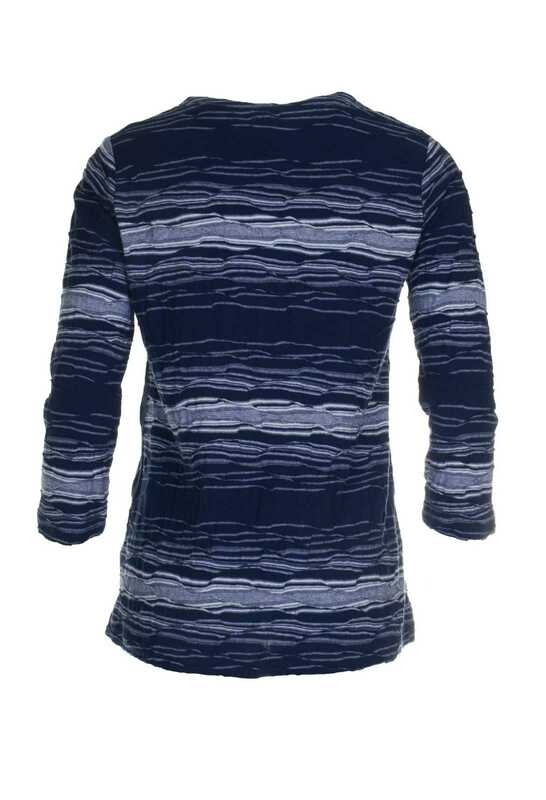 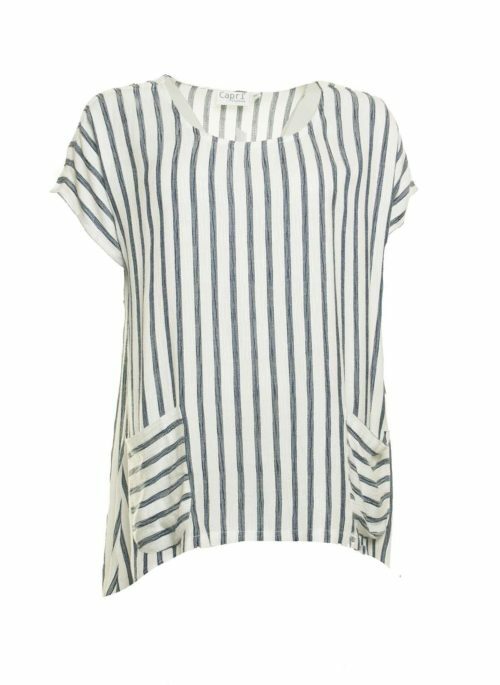 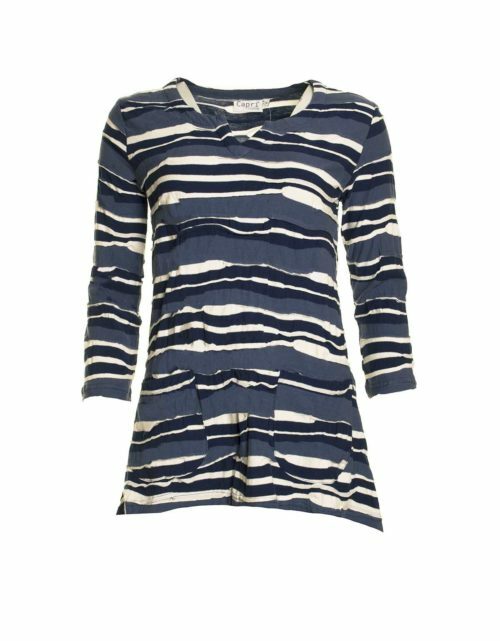 Long sleeves and scoop neck, this top is in navy blue with a white uneven stripe. 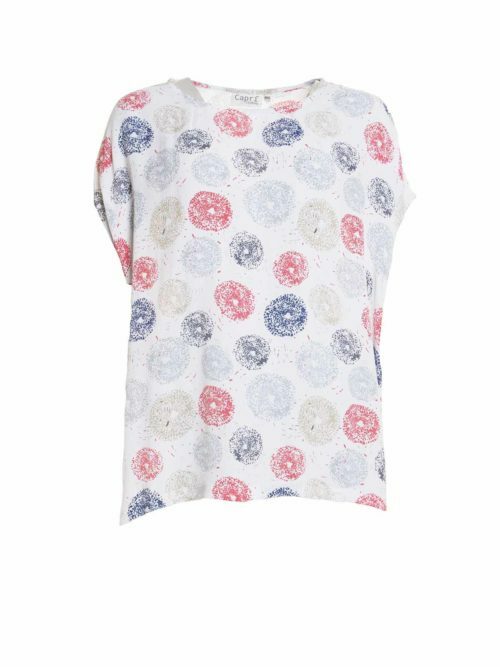 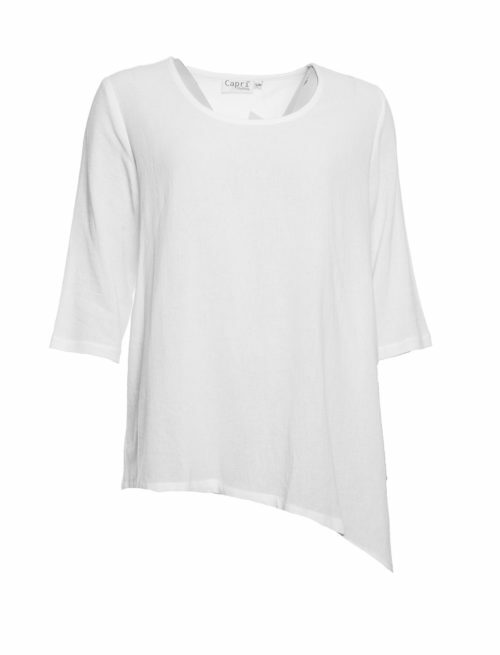 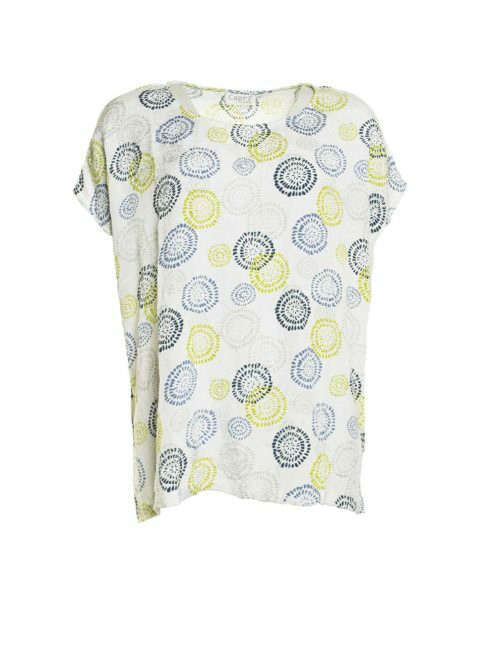 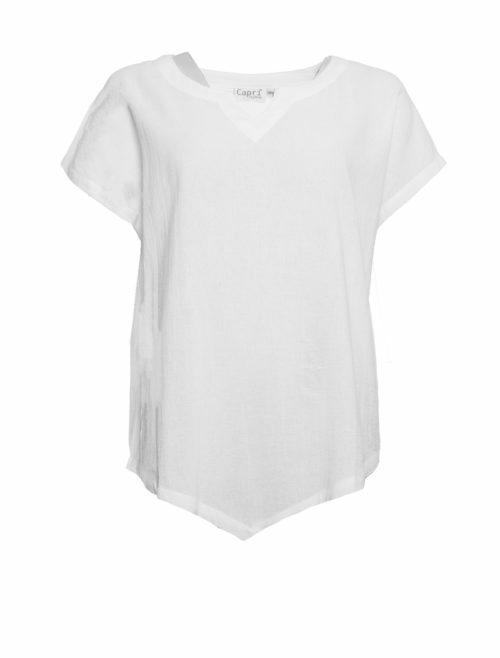 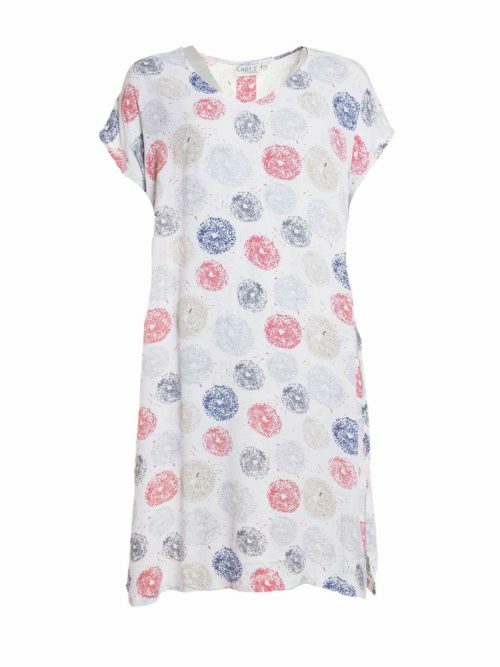 This unusual top is super worn with white or blue Not Your Daughters jeans.